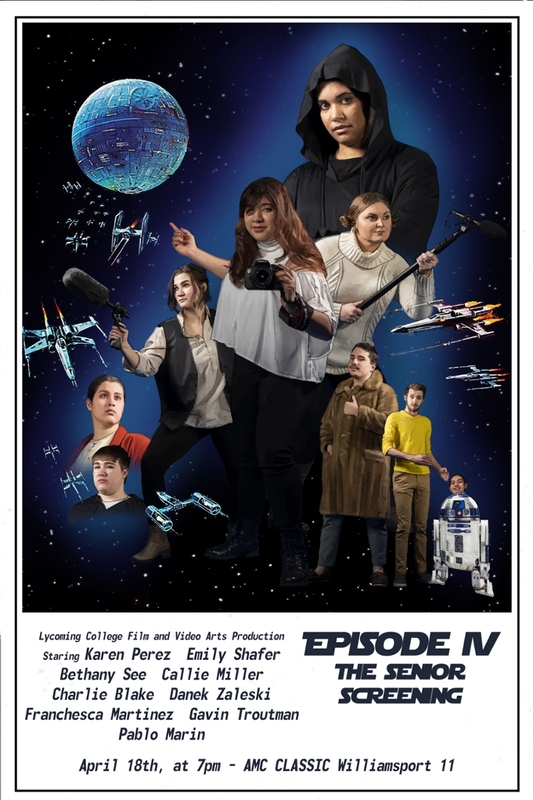 Lycoming College is pleased to present the Film and Video Arts Senior Film Screening at the AMC Classic Williamsport 11, 300 W. Fourth St., on April 18, beginning promptly at 7 p.m. Doors will open at 6:15 p.m.
Five graduating film and video arts seniors will screen their films, which include narrative and documentary genres. Students decide on the genre and content of their films under the guidance of their thesis professor. They write, film, edit and produce their films over the course of the academic year. The communications department at Lycoming offers majors in corporate communication, and film and video arts, with minors in corporate communication, film and video arts, and film studies. Students balance theory and film production as they study the way the moving image interprets and represents humanity, culture and society. The film and video arts seniors are proud to share their work with the community on the big screen at the AMC theatre. This is the story of Williamsport, Pennsylvania’s Franco’s Lounge owners, the Daniele family, who face the pressures of running a family business for more than a decade. Liminal is a short narrative film that follows a woman, May, as she travels between stages of her life by way of a mysterious staircase. A new chapter lies behind each door, until one day a tragic loss leaves her trapped inside, unable to move forward. After losing her husband, Louis Mallard, now widowed, gets help from an old friend on how to cope with her loss. She gains the Independence she always wanted and a new perspective on life. “From the Mountains to a Family” is a documentary film that follows the trail running community through the Pennsylvania wilds. Through the support for others and the love for the trails, we follow a community that turns from strangers to family in moments. After undergoing a gene-altering procedure, Anthony Bes is helpless. He can only sit and watch as his life falls apart while quietly waiting for a secretive gamble to pay off. Theater seating is limited. Free tickets are available online at http://evite.me/bF883EBG3H. 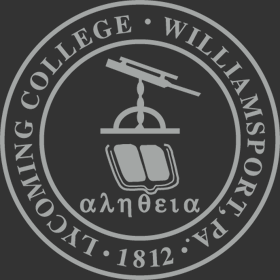 To support the arts at Lycoming College, please visit https://campaign.lycoming.edu/give-now/ to make a gift.